Many large commercial and industrial boilers are equipped with both natural gas and fuel oil burners. They can relatively easily be switched between fuels. Owners of boilers dedicated to one fuel may be thinking about a fuel switch to take advantage of changing fuel prices. So how do you decide when to fire which fuel? A complete comparison requires a careful analysis of at least four major factors: TOTAL fuel cost, emissions, operation and maintenance, and boiler capacity. Boiler and burner design must also be considered in retrofit applications. TOTAL Fuel Cost: the cost of fuel is not just the price per unit of fuel, but also the cost of running the auxiliary equipment required to burn that fuel. Natural gas requires only combustion air fan(s). Fuel oil requires pumps, combustion air fans, atomizers, soot blowers, and perhaps tank and line heaters depending on the oil grade and season. Emissions: burning fuel oil results in a substantial increase of carbon (CO2), particulates and sulfur (SO2) as compared to natural gas combustion. 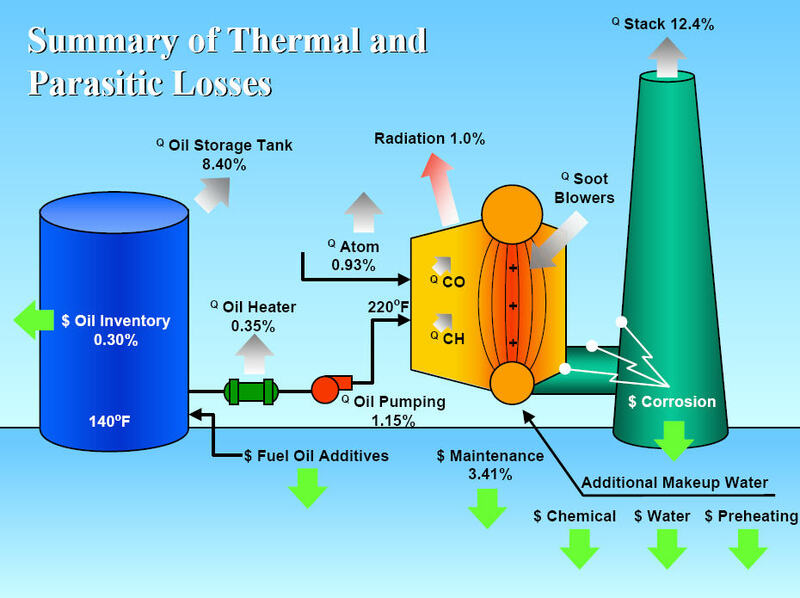 Operation and Maintenance: in addition to emissions increases, the by-products that foul the inside of the boiler (soot) are also much higher with fuel oil than with natural gas. 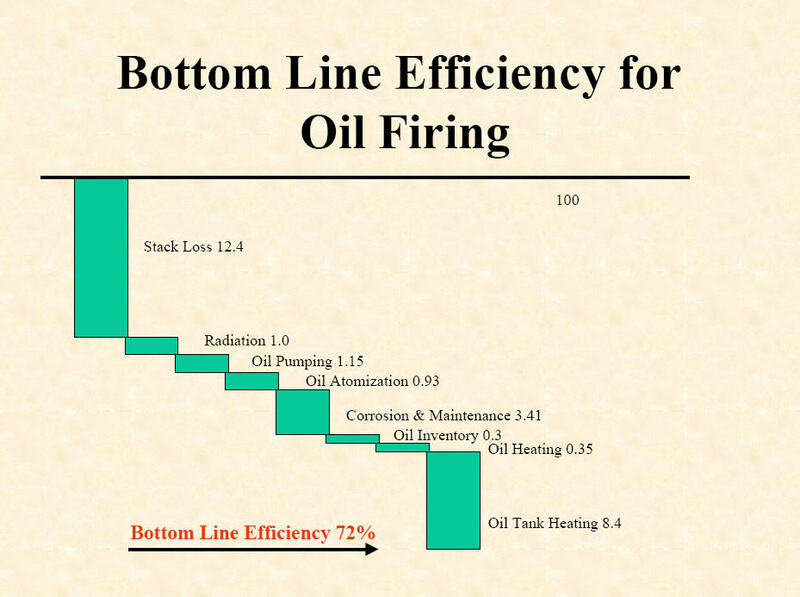 Because there are more moving parts, pumps, and other components with burning oil, the associated equipment maintenance is also higher. Boiler Capacity: fuel oil as a liquid has a higher energy density than natural gas; it also burns with more luminosity – which can be a major factor in water tube boiler capacity. Therefore, depending on boiler and burner design, one fuel may have a capacity advantage over the other in a specific boiler. 1,000,000 BTUs (gas) / 140,000 BTUs (oil) = 7.14 Gallons per Million BTUs. 1 MCF of Natural Gas is about 1 million BTUs; if gas is about $10.00 per MCF, then fuel oil would be twice the cost of natural gas, in this example – before considering the other losses and issues explained above. NOTE: #6 Fuel Oil has more BTUs per gallon and costs less than #2 Fuel Oil.